William Porteous was born, raised and educated in Canada. He attended Simon Fraser University in British Columbia where he attained a Bachelor of Arts Degree in Resource Management and Town Planning. He worked for a short time as a trainee stock broker before coming to Australia in September 1970 when he was employed by The Bond Corporation from 1971 to 1979 as their project manager for various large Bond development ventures. William undertook several substantial property development projects of his own business in Western Australia and whilst engaged in his own property activities he was approached and invited to join Acton Consolidated in 1979. 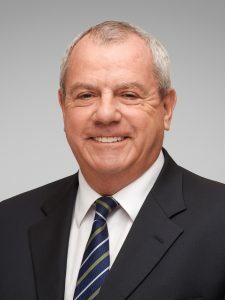 He was appointed a director and partner of the Acton Group in 1983 and remained with the Company specialising in prestige properties ad developments until 1 July 2008 when he left Acton to launch his own Company, William Porteous Properties International. William is best known for his success in the top price range luxury properties and developments and as a well-known auctioneer.